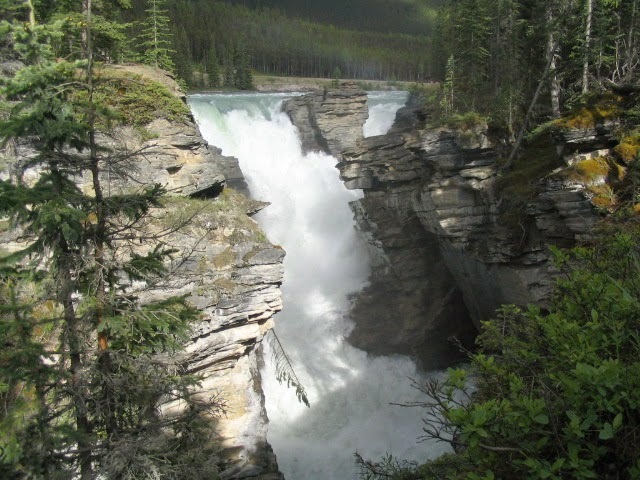 Athabasca Falls is a waterfall in Jasper National Park on the upper Athabasca River, approximately 30 kilometres south of the townsite of Jasper, Alberta, Canada, and just west of the Icefields Parkway. 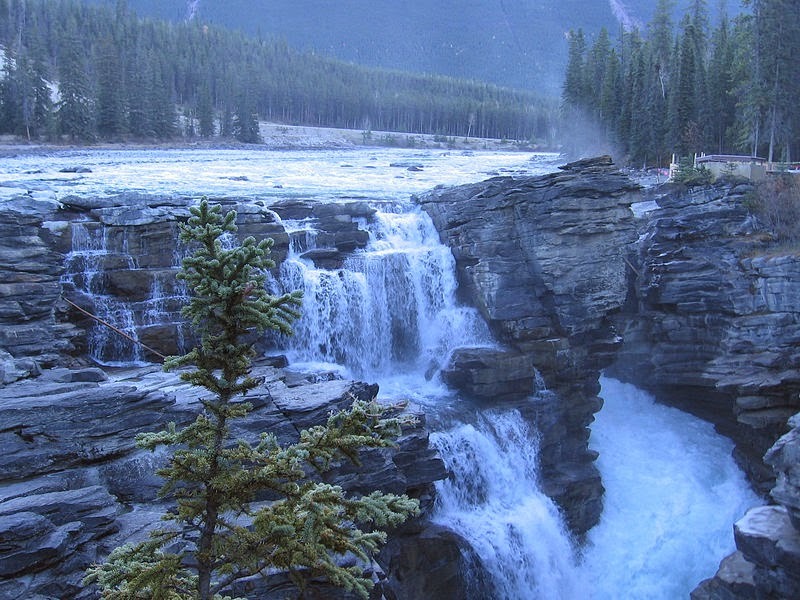 A powerful, picturesque waterfall, Athabasca Falls is not known so much for the height of the falls (23 metres), as it is known for its force due to the large quantity of water falling into the gorge. Even on a cold morning in the fall, when river levels tend to be at their lowest, copious amounts of water flow over the falls. The river 'falls' over a layer of hard quartzite and through the softer limestone below carving the short gorge and a number of potholes. The falls can be safely viewed and photographed from various viewing platforms and walking trails around the falls. Access is from the nearby parking lot, which leads off Highway 93A just northeast of the falls. Highway 93A takes off from the nearby Icefields Parkway, and crosses the falls on the way north to the town of Jasper. 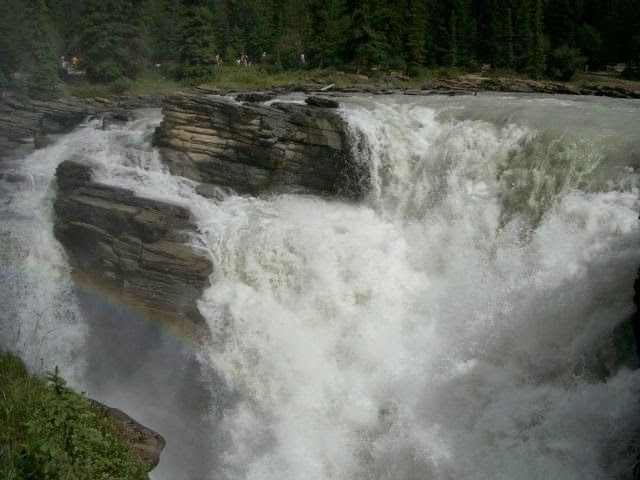 White water rafting often starts below the falls to travel downstream on the Athabasca River to Jasper. Love to visit that lovely nature park.